Our goal is to connect people with the best local experts. 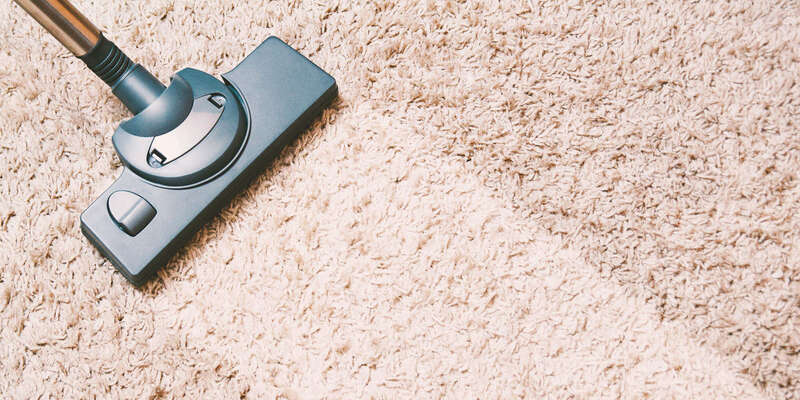 We scored carpet cleaners on more than 25 variables across five categories, and analysed the results to give you a hand-picked list of the best carpet cleaners in Wichita, KS. Clean Steam Carpet Care LLC, in Wichita, Kansas, is a cleaning company that offers steam cleaning to both residential and commercial properties. They clean carpets, windows, upholstery, mattresses, and tile and grout, as well as remove stains and odors. Each cleaning includes a pre-vacuum, spot pre-treatment, hot water truck-mounted water extraction, and a thorough rinse, to get the deepest clean possible. Along with Wichita, services areas include Andover, El Dorado, Goddard, Augusta, and more. All the chemicals they use are non-toxic, biodegradable, and safe for pets and children. Free quotes and specials are available, and customers have described them as highly skilled. Clean Rite Building Services is a residential and commercial cleaning service in Wichita, Kansas that has been serving the surrounding area for over 20 years. Using only environmentally friendly products, they specialize in the cleaning and restoration of carpet and vehicle upholstery as well as water damage restoration and cleanup. In addition, they offer janitorial service that includes carpet cleaning, tile stripping/finishing/buffing, window cleaning, and power washing. Customers know them as loyal and dependable and are always pleased with the amazing results and consistent professionalism. With no hidden charges and amazing customer service, they are committed to excellence and make certain that each customer’s unique needs are met at the right prices. Based in Wichita and serving the entire state of Kansas, Dream Clean is a full-service janitorial company providing residential and commercial housekeeping, carpet and hard floor cleaning, window cleaning, and much more. Clients include homes, churches, colleges, office spaces, medical facilities, apartment buildings, and other locations. Free online estimates are available. This business is open 24 hours a day and promises to respond to requests within the hour. Dream Clean has earned perfect five-star overall customer ratings from both Google and Gosmith. Clients say they provide excellent, thorough cleaning even on short notice. In 2015, they were voted the best house cleaning service in Wichita by Thumbtack users. Mel’s Carpet Cleaning serves customers throughout the Wichita, KS region with cleaning services for carpets, upholstery, tile, hardwood floor, and rugs. The team specializes in cleaning and sanitizing spills, dirt, pet dander, odors, and other contaminants that can leave homes or offices looking and smelling dirty and unappealing. The company has been working for over 30 years with a crew of home cleaning experts treating various surfaces in both residential and commercial spaces. Mel’s specialists maintain a clean van and workspace and only use the highest quality products and techniques while offering free and clear-cut estimates for all their services. They also offer emergency 24/7 services for damages that require immediate attention. MIT Cleaning and Restoration, Inc. is a janitorial and cleaning company located in Wichita, Kansas that specializes in commercial and residential cleaning and restoration projects. Services include commercial janitorial, carpet and upholstery, duct cleaning, water damage restoration, residential cleaning, floor maintenance, plus more. MIT Cleaning and Restoration, Inc. also performs powerwashing and post-construction. The carpet cleaning services rendered include carefully moving the smaller furniture, using powerful equipment to remove dirt and allergens, spot-treating and pre-treating tough stains, concentrating on high-traffic areas for a noticeable difference, etc. MIT Cleaning and Restoration, Inc. delivers 24/7/365 response. This janitorial and cleaning company strives to bring 100% customer satisfaction and is bonded and insured. Headquartered in Andover, Kansas, Rick's Professional Carpet Cleaning is a cleaning company that serves clients in the Greater Wichita metropolitan area and beyond. Rick's Professional Carpet Cleaning is open Monday through Saturday as well as Sunday by special appointment. The company uses 100% nontoxic materials in its cleaning services and employ a system that reduces water and energy consumption. In addition to carpet cleaning, steam cleaning, and dyeing, Rick's Professional Carpet Cleaning offers clients such services as upholstery and furniture cleaning, rug cleaning, Scotchgard applications, and the removal of pet stains and odor. The company is rated highly by former clients and can be contacted by phone or email. Snow White Carpet Cleaning is the longest-running carpet cleaning company in Witchita, Kansas, established in 1963 to offer quality cleaning and restoration services throughout the region. Their staff is trained and certified by the Institute of Inspection Cleaning and Restoration Certification (IICRC) and specializes in cleaning carpet, upholstery, drapery, and tile and grout. Additional services include pet odor and stain removal, hard surface cleaning of tiles, concrete, counters, and flooring, delicate area rug cleaning, and air duct cleaning. This business offers several cleaning programs for residential homes, commercial properties, offices, and realtors, suiting their services and price points to the needs of each client. Snow White Carpet Cleaning offers competitive pricing and 24-hour emergency services. Wichita Carpet Cleaning is a family owned and operated cleaning company located in Wichita, KS with over 25 years of experience in the industry. The company completes both residential and commercial jobs with services including carpet cleaning, upholstery cleaning, pet odor and stain removal, hardwood and laminate floor buffering, oriental rug and area rug cleaning, window cleaning, construction clean up, and steam cleaning. All carpet cleaning providers complete a thorough training process and only use the highest grade cleaning materials. The company is fully licensed and insured for all of the services it provides. Wichita Carpet Cleaning prides itself on using only eco-friendly methods that are safe for families, pets, and the environment.